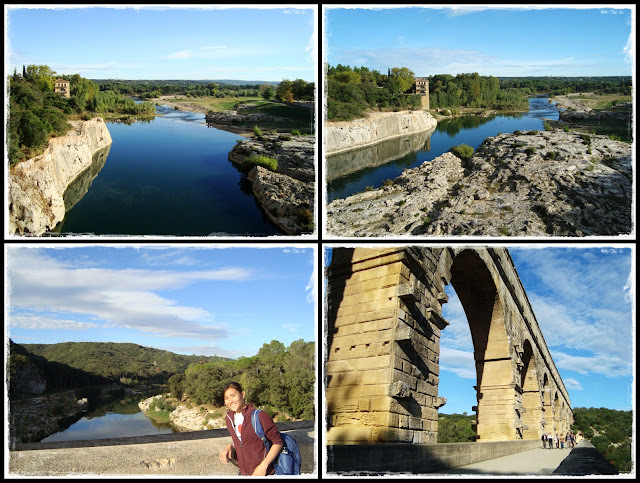 5 Oct 2010 (Tues): Our 4th day in France. 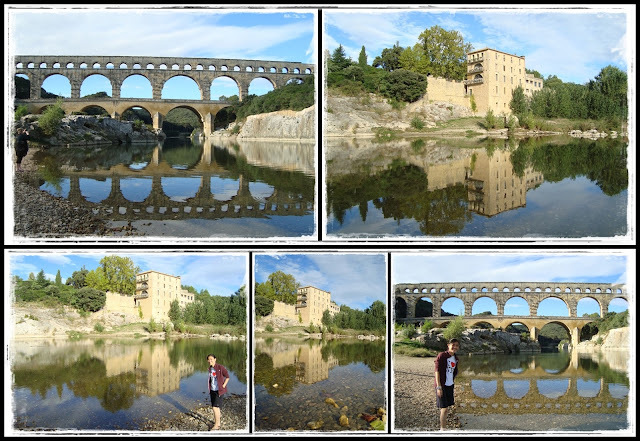 France is such a huge country that we had to spend 5 days visiting several different locations from Paris to southern France. 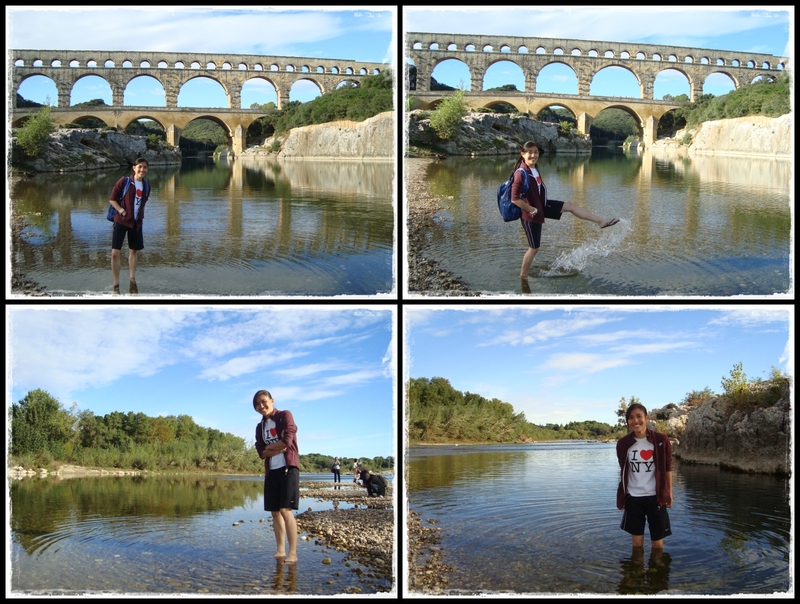 Welcome to the Pont du Gard...famous for the ancient Roman aqueduct bridge. 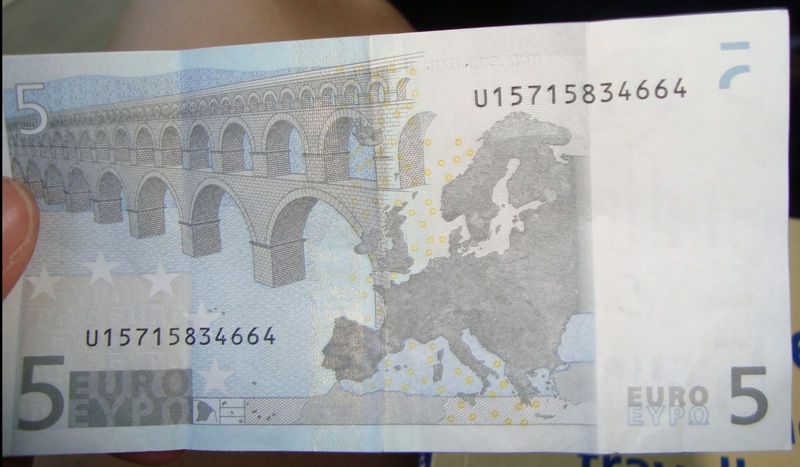 This is the bridge that appears on the 5 Euros notes.